With our beloved HK still out of action following an ankle injury, the striker has flown across the Atlantic and booked himself a seat at tonight’s Superbowl match between the New England Patriots and La Rams in Atlanta, Georgia. Kane, a self-confessed admirer of Patriots Quarter Back Tom Brady, will no doubt be cheering on Bill Bilicheck’s New England side who are 4/5 favourites with the bookies to win their sixth Superbowl. 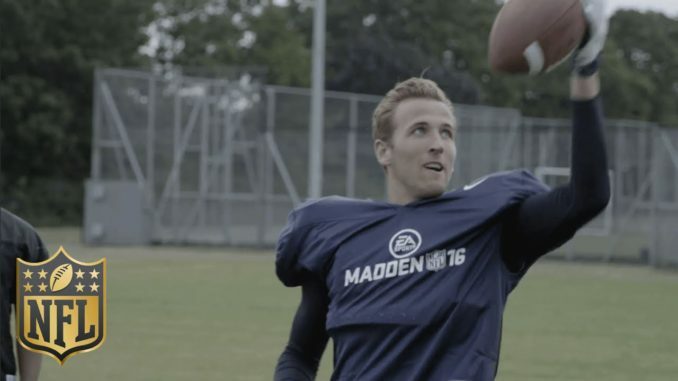 It’s not just NFL that tickles Kane’s fancy from across the pond however. Back in October 2017 when Spurs swept aside Liverpool in an impressive 4-1 win at Wembley, Basketball legend Kobe Bryant was a surprise guest in the crowd and subsequently met Harry after the game, tipping him be as good as Lionel Messi and Cristiano Ronaldo. Whilst a Pats win tonight will send Harry back to the UK happy, recent news emerged that Kane’s ankle is making a very solid recovery which will be music to the ears of the English striker and Spurs fans alike. Tottenham, who edged out Newcastle United in a 1-0 win this weekend, will be chomping at the bit for Kane’s recovery as they look to keep pace with Liverpool and Man City in this season’s EPL title race.